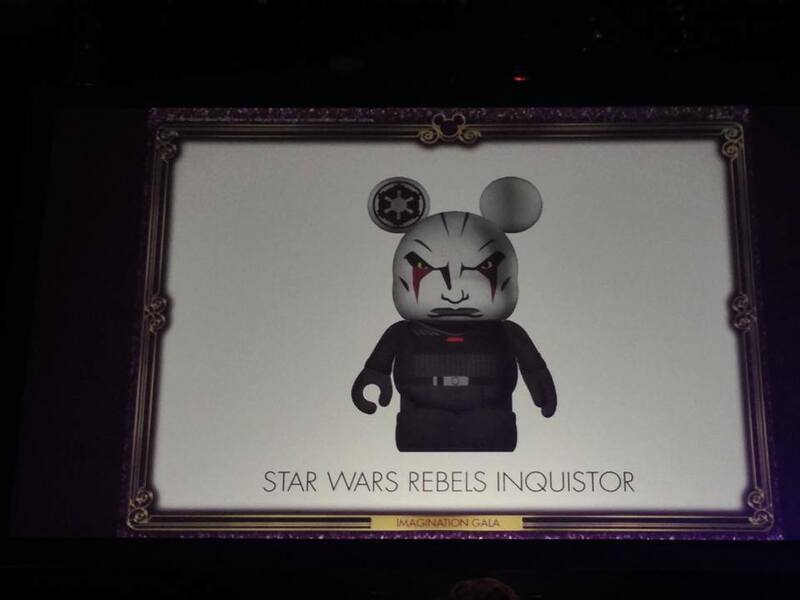 Collecting Round-Up: Black Series Prototype Fett, Rebels Vinylmation, Rebels Obi-Wan and I am Groot! This is a new feature on MakingStarWars.net where we will highlight some of the cool new toys, statues, art, clothing and other merchandise that will empty our bank accounts. With Disney firmly holding the reins to the Star Wars brand, we’re likely to see more licensed merchandise than ever before (which is hard to fathom). So…punch it Chewie! 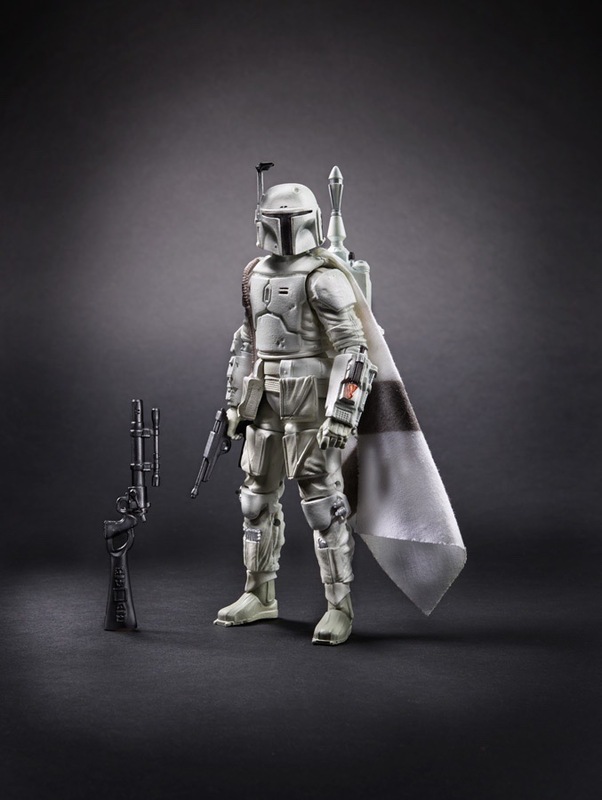 Back in early July, StarWars.com announced that Hasbro and Walgreen were teaming up to release an exclusive Prototype Armor Boba Fett. It looked awesome. Right before the start of SDCC, those sneaky Jawas over at Walgreens released a pre-order on their website which was up for less than 24 hours before it sold out. I was told that pre-orders were also available at SDCC but those sold out even faster. As I write this, no pre-orders have been filled. Instead, the “Proto-Fett” has started popping up in select Walgreens stores across the country. So if you’re hoping to get a Proto-Fett and you missed out on the pre-order, RUN TO YOUR LOCAL WALGREENS NOW! As part of the Proto-Fett shipment, they’re also getting Wave 5 of the 6″ line far in advance of any other big box stores or e-tailers. So if you want ROTJ Luke, Chewbacca, Sandtrooper (black pauldron) or Darth Vader right now, Walgreens is your best bet too. Here’s the rub – select stores have received no more than 3 at a time and most Walgreens managers have no idea what they are. You will need to educate the managers by giving them the UPC (630509252541) and the Walgreens WIC (352867). You will also need to ask (beg) the managers to go search for the figures in the “seasonal reset totes” in the back for you. I strongly suggest calling to save time, gas and sanity. Good luck, beware of Sith Scalpers and MTFBWY! 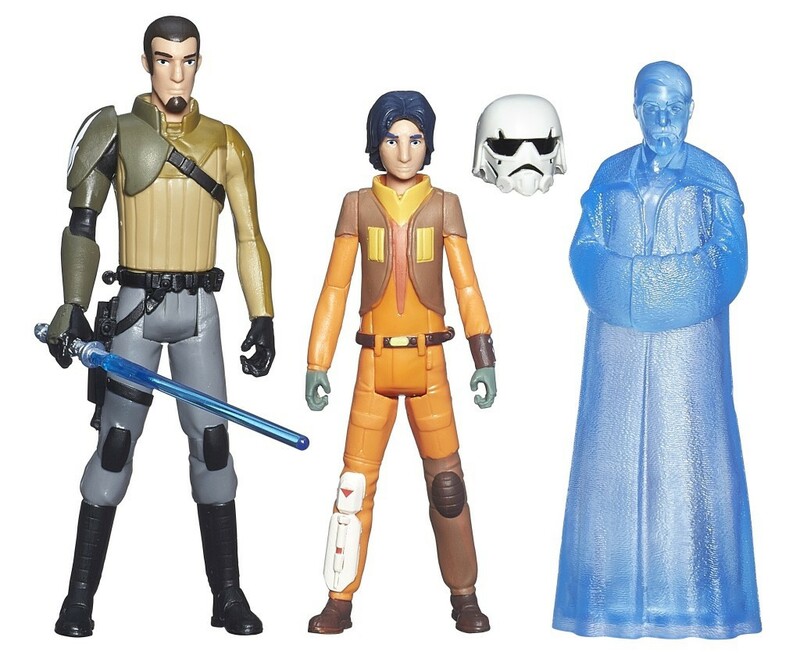 The cool folks over at Yakface.com and Yodasnews.com found this super sweet upcoming Star Wars Rebels Mission Series set featuring Kanan, Ezra and a Hologram Obi-Wan Kenobi. 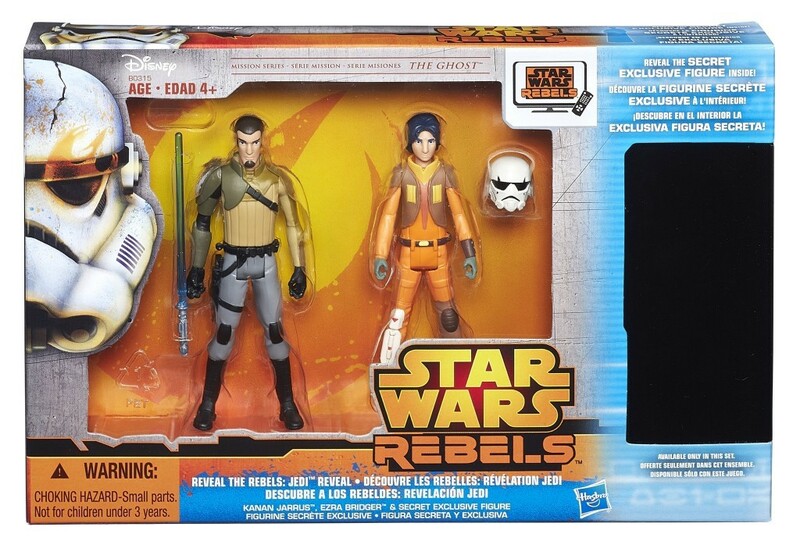 As far as I’m aware, this is the first Rebels Obi-Wan toy we’ve seen and it looks pretty great. I can’t lie, I love mash-ups. 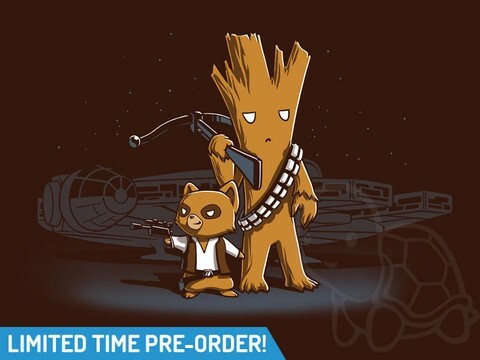 This cool Star Wars/Guardians mash-up shirt is available for only a few more hours at teeturtle so hurry and get yours now! I am Groot!